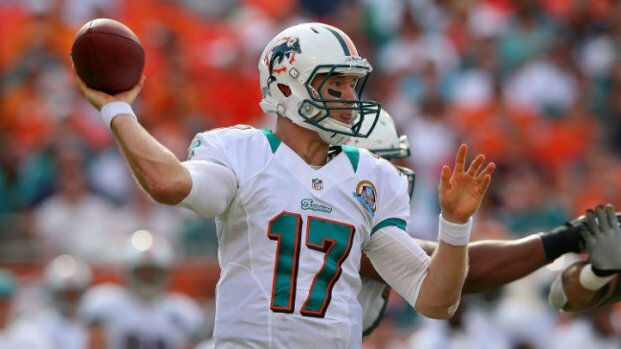 The Miami Dolphins got a special present from the NFL this year: an extra preseason game. Sure, watching third-stringers duke it out for roster spots in early August is not the best gift NFL commissioner Roger Goodell could have given Dolfans, but for the football-starved among us, it will have to do. The Dolphins will play the Dallas Cowboys in Canton, Ohio, for the annual Hall of Fame game. 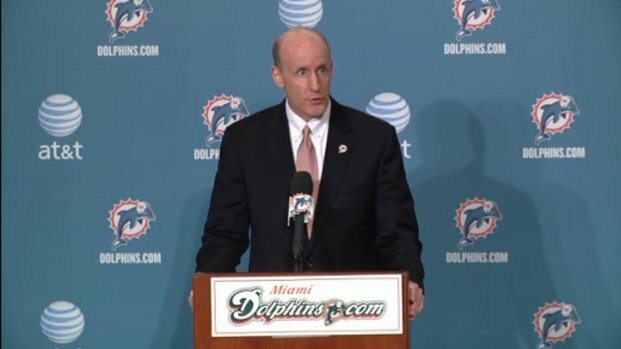 "It's a special feeling," Dolphins coach Joe Philbin said Friday. "The stadium may be not as big as most stadiums that we play in, but it's kind of got that little nice fit to it. It's Canton, Ohio, great football tradition in that area. I think our guys are excited." As with most early preseason games, starters for both teams will see limited action (the "dress rehearsal game - when starters play for three quarters - is normally the third of the preseason). Cowboys coach Jason Garrett has hinted that starting QB Tony Romo may not play at all (or for only one series), while Miami's starting WRs Mike Wallace and Brian Hartline could both be on the shelf nursing minor injuries. "This game is not really going to be about X's and O's," Philbin said. "It's more going to be about our guys playing football the right way, the things we've been practicing every single day have to show up on tape." 1. Will any of Miami's running backs ease concerns about the departure of Reggie Bush? When the Dolphins let Bush, their best offensive player of the past two seasons, walk via free agency, their underlying assumption was that second-year back Lamar Miller and Daniel Thomas could replace Bush's production. Sunday will their first chance to prove their bosses weren't foolish for trusting them. 2. Where will first-round pick Dion Jordan line up? Jordan, the third overall pick in last April's NFL Draft, will likely see action at defensive end opposite Pro Bowler Cameron Wake. But with the emergence of Olivier Vernon in training camp, defensive coordinator Kevin Coyle might experiment with Jordan at linebacker in order to get all three pass rushers on the field on passing downs. 3. How will Jonathan Martin fare against live competition? The Dolphins' replacement for departed All-Pro LT Jake Long, Martin has routinely been abused in practice by Vernon, Wake, and Jordan at times. The health of QB Ryan Tannehill depends on Martin protecting his blind side, and Dolphins fans will rest easier if he comports himself well on Sunday. 4. Who will take the lead in the race for the fourth and fifth receiver spots? After Wallace, Hartline and third receiver Brandon Gibson are a horde of receivers battling for two roster spots. Sunday is the time for Julius Pruitt, Keenan Davis, Marvin McNutt, Jeff Fuller, Brian Tyms, Chad Bumphis, Kenny Stafford, and Andrell Smith to show what they can do. 5. Will either of Miami's kickers take the lead? Yes, one of the most-contested roster battles this summer is at the kicker position. Incumbent Dan Carpenter has looked better in camp, but rookie Caleb Sturgis would be a much cheaper option if he proves himself capable. Miami and Dallas kick off at 8 p.m. ET, with coverage on NBC.